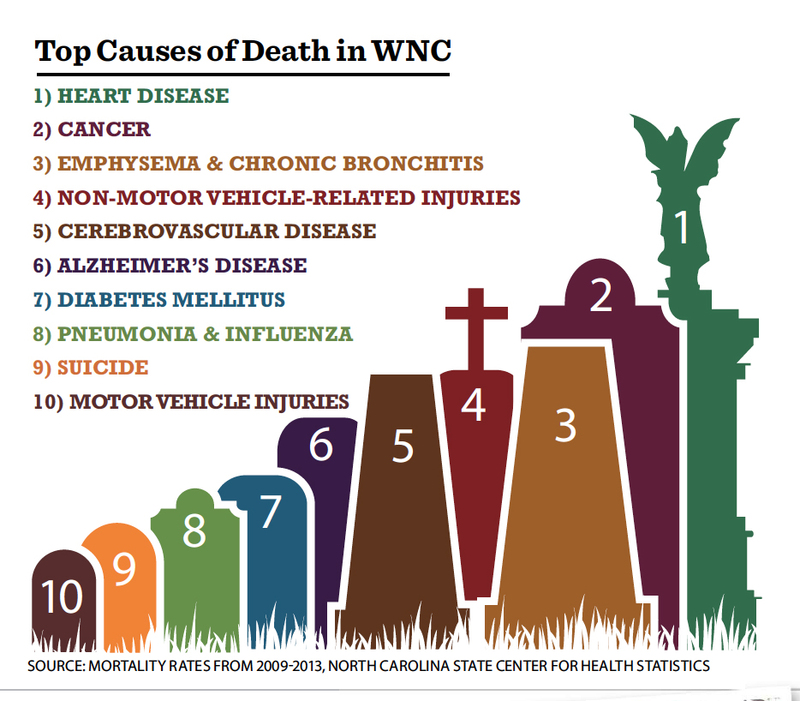 It’s a top 10 list no one wants to be on—the leading causes of death in Western North Carolina. It’s also a revealing roster of what’s unique about the ways we perish here. By crunching recent mortality rate data from WNC, we found some, um, deathly distinctions. Most notably, WNC’s rates for death by suicide and non-motor vehicle-related unintentional injuries (like overdoses and shootings) are substantially higher than the statewide averages (34 and 47 percent higher, respectively). On the plus side, WNC’s death by diabetes rate is 11 percent lower than North Carolina’s as a whole.